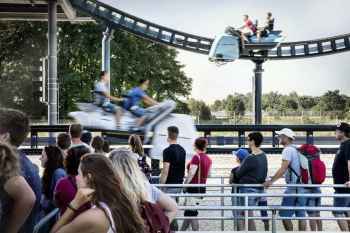 In the spring of 2017 the first ride powered by the new Spike® Technology opened its gates: The Sky Dragster at Allgäu Skyline Park near Munich. 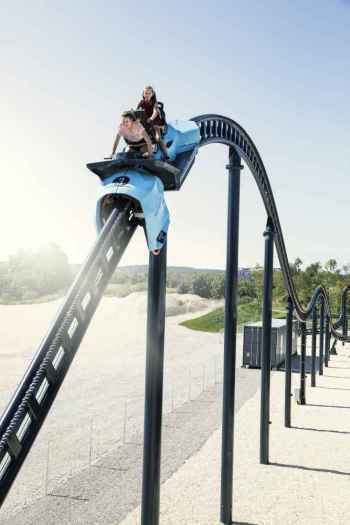 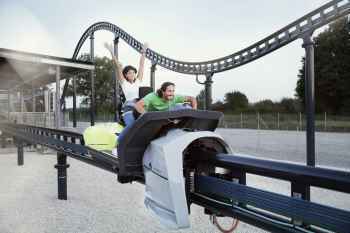 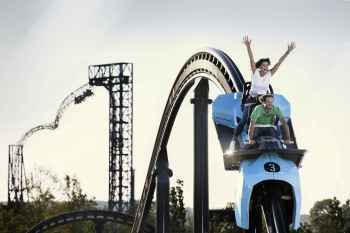 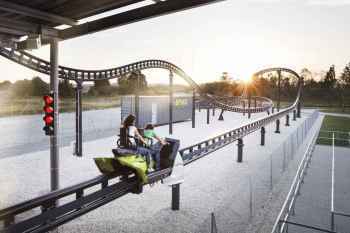 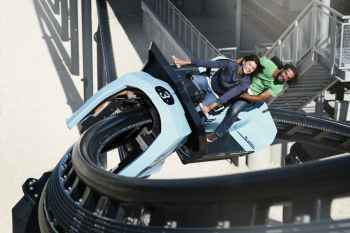 Its track, designed for speed, including acceleration sections, banked curves, roundabouts and camel-backs for the best riding experience, is the world's first on which speed and acceleration are controlled by the riders. 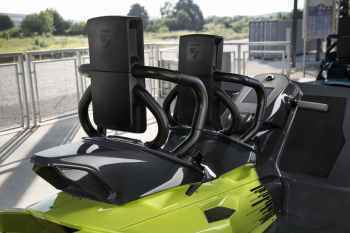 Sitting like on a motorbike they can use the handle on the right to power up to full throttle, and with a button on the left access additional power from the boost tank. 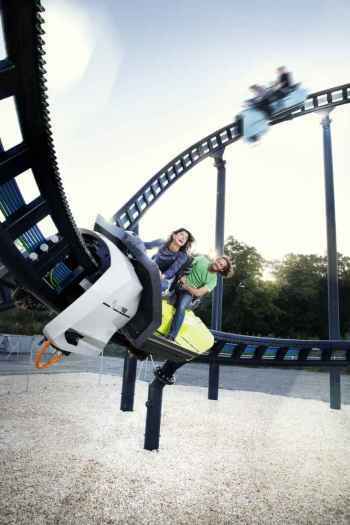 Only the perfect use of these tools guarantees a new best time!